THIS SITE AND THE INFORMATION OR MATERIALS CONTAINED THEREIN ARE PROVIDED "AS IS" WITHOUT ANY REPRESENTATIONS, WARRANTIES OR COVENANTS OF ANY KIND, EITHER EXPRESS OR IMPLIED. TO THE FULLEST EXTENT PERMISSIBLE PURSUANT TO APPLICABLE LAW, WE DISCLAIM ALL WARRANTIES OR CONDITIONS, EXPRESS OR IMPLIED, INCLUDING, BUT NOT LIMITED TO, IMPLIED WARRANTIES OF MERCHANTABILITY AND FITNESS FOR A PARTICULAR PURPOSE. WE DO NOT WARRANT THAT THIS SITE OR THE SERVERS THAT MAKE MATERIAL AVAILABLE WILL BE OPERABLE, UNINTERRUPTED, VIRUS FREE OR ERROR FREE, OR THAT DEFECTS WILL BE FOUND OR CORRECTED. WE ALSO DO PROVIDE NO WARRANTY REGARDING THE ACCURACY, TIMELINESS, AUTHENTICITY, COMPLETENESS OR RELIABILITY OF ANY INFORMATION, CONTENT, SERVICE OR OTHER MERCHANDISE PROVIDED THROUGH THIS SITE. YOU ACKNOWLEDGE AND EXPRESSLY AGREE THAT USE OF THIS SITE IS AT YOUR SOLE RISK AND DISCRETION. YOU AGREE TO INDEMNIFY US AND HOLD US AND OUR DIRECTORS, OFFICERS, EMPLOYEES, AGENTS AND REPRESENTATIVES ABSOLUTELY HARMLESS FROM ANY CLAIM ARISING FROM OR IN ANY WAY CONNECTED TO YOUR USE OF THIS SITE, INCLUDING YOUR POSTING, UPLOADING OR SUBMITTING MATERIALS OR CONTENT TO ANY FORUM OR TO THIS SITE OR YOUR FAILURE TO COMPLY WITH THESE TERMS AND CONDITIONS OF USE. IN NO EVENT WILL WE OR OUR DIRECTORS, OFFICERS, EMPLOYEES, AGENTS AND REPRESENTATIVES BE LIABLE TO ANY PARTY UNDER ANY CIRCUMSTANCES FOR ANY INDIRECT, INCIDENTAL, SPECIAL, OR CONSEQUENTIAL DAMAGES OR LOST PROFITS THAT RESULT FROM YOUR USE OF, OR YOUR INABILITY TO USE, THIS SITE OR MATERIALS OR FUNCTIONS ON THIS SITE, EVEN IF WE HAVE BEEN ADVISED OF THE POSSIBILITY OF SUCH DAMAGES. IN NO EVENT SHALL OUR TOTAL LIABILITY TO YOU FOR ALL DAMAGES, LOSSES, AND CAUSES OF ACTION (WHETHER IN TORT, NEGLIGENCE, STATUTE, CONTRACT, COMMON LAW, EQUITY OR OTHERWISE) EXCEED THE AMOUNT PAID BY YOU TO US, IF ANY, FOR ACCESSING THIS SITE. The information contained within our web site is for educational and research purposes only. We do not prescribe, diagnose or make medical claims. All information on this site should not be taken as literal advice. No action should be taken on information read on this site without consulting your doctor first. If you use the information in this site without the approval of a health professional - you prescribe for yourself - which remains your lawful right - but Cyrinus Joseph, Camilla Joseph, EASRON or our directors/employees do not assume any responsibility. Your results may vary. Everything in life is risk - risk can only be mitigated - never eliminated. Our team constantly participates in ongoing professional education and research to bring you the latest and most effective safe technologies. As a quantum varmam research operations - we do not provide allopathic medical advice of any kind. Our job is to help people use our quantum varma sessions as a complementary remedy in a way that is safe and most likely to be effective. Discover wellness and balance through quantum varmam - all without drugs or surgical intervention - no side effects. 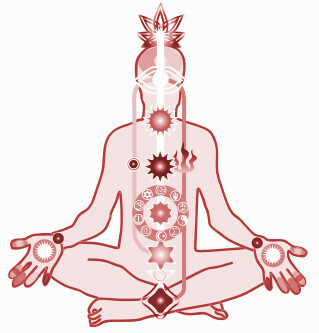 Our method stimulates your body’s own healing resources. We reserve the right to change and or amend these conditions without notice. Welcome to the Internet sites of Easron, a division of Easron Health Inc. (each referred to as a "Site"). Easron Quantum Varmam and Easron Health Inc., and all of its divisions, affiliates and subsidiaries are referred to herein as "we," "us," or "our". PLEASE READ THESE TERMS AND CONDITIONS OF USE CAREFULLY BEFORE USING THIS SITE. By using this Site, you signify your agreement to these terms and conditions of use. If you do not agree to these terms and conditions of use, please do not use this Site. We reserve the right, at our discretion, to change, modify, add, or remove portions of these terms and conditions of use at any time. Please check these terms and conditions of use periodically for changes. Your continued use of this Site following the posting of changes to these terms and conditions of use constitutes your acceptance of those changes. All of the names, titles, logos, and designs on this Site identifying our products and brands, including any derivative and related names, titles, logos and designs, are trade-marks and the sole and exclusive property of Easron Health Inc.. All other names, titles, logos and designs appearing on this Site are the property of their respective owners. This Site contains copyrighted material, trade-marks and other proprietary information, including, but not limited to, text, photographs, graphics, images, illustrations, audio, video and software (collectively, the "Material") and the entire contents of this Site also are protected by copyright as a collective work and/or compilation under the Canadian copyright laws, international conventions and other copyright laws. We own the copyright in the Material original to us and in our selection, coordination, arrangement and enhancement of the Material. No Material may be copied, reproduced, republished, uploaded, posted, transmitted, or distributed in any way without our express written consent, except that you may, where possible, download one copy on any single computer for your personal, non-commercial home use only, provided that (i) you keep intact all copyright and other proprietary notices, (ii) you make no modifications to the Material, (iii) you do not use the Material in a manner that suggests an association with any of our products, services, or brands, and (iv) you agree that you do not acquire any ownership or other use rights by downloading any Material. The use of any Material on any other web site is prohibited. As a service to visitors to this Site, we may include links to other web sites over which we have no control. WE MAKE NO ENDORSEMENTS, WARRANTIES OR REPRESENTATIONS OF ANY KIND WHATSOEVER REGARDING THOSE OTHER WEB SITES, INCLUDING THE PRODUCTS, SOFTWARE, MATERIALS, SERVICES, CONTENT OR ACCURACY OR APPROPRIATENESS OF CONTENT ON SUCH OTHER WEB SITES. YOUR DECISION TO ACCESS ANY SUCH OTHER WEB SITES SHALL BE ENTIRELY AT YOUR OWN RISK AND DISCRETION. We reserve the right to disable links to and from this Site. --engage in any conduct that encourages, conspires, entices or promotes the occurrence of any of the prohibited conduct stipulated herein. You acknowledge and agree that all Forums involve public and not private communications, and that they can only be used for non-commercial purposes. Further, you acknowledge and agree that chats, postings, conferences, and other communications by users are not monitored, screened, sanctioned or endorsed by us, and such communications shall not be considered reviewed, screened, or approved by us. However, we reserve the right, but not the obligation, to monitor the content of this Site, including the Forums, and to remove, refuse to post or edit any material or content which we, in our sole discretion, determine to be in violation of the provisions hereof or otherwise objectionable. Visitors shall remain solely responsible for the content of their communications. We reserve the right, in our sole discretion, to deny any user access to this Site without notice. By posting, uploading or submitting any material or content to any Forum or otherwise submitting any material or content to us, you automatically grant (or automatically warrant that the owner of the rights to such material or content has expressly granted) us a perpetual, royalty-free, irrevocable, non-exclusive right and license throughout the world to use, reproduce, modify, adapt, create derivative works from, publish, translate, license, transmit, distribute and otherwise exploit any or all portions of such material or content in any manner and media and by means of any technology now known or hereafter developed. In addition, you hereby irrevocably waive all so-called "moral rights" in any such materials and content posted, uploaded or submitted by you. You warrant to us that our use of the content will not infringe upon the rights of any party, including copyright, defamation, privacy or right of publicity. This Site is controlled by us from our offices within the Province of Ontario, Canada, and is intended for users who reside within Canada. We make no representation that materials on this Site are appropriate or available for use in any particular location. Those who choose to visit and use this Site do so on their own initiative and are responsible for compliance with local laws. These terms and conditions of use shall be governed by and construed in accordance with the laws of the Province of Ontario, without regard or giving effect to any principles of conflicts of law. You agree that any action at law or in equity arising out of or relating to these terms and conditions of use shall be filed only in the provincial or federal courts located in Toronto, Ontario, and you hereby consent and submit to the exclusive personal jurisdiction of such courts for the purposes of litigating any such action. If any provision of these terms and conditions of use shall be unlawful, void, or for any reason unenforceable, then that provision shall be deemed severable from these terms and conditions of use and shall not affect the validity and enforceability of any remaining provisions. This is the entire agreement between us relating to the subject matter herein and shall not be modified except in writing, signed by both parties. English shall be the language of this Site, and all transactions occurring in connection with this Site, and the parties waive any right to use and rely upon any other language, or translations. Il est de la volonté express des parties que le présent site et tous les affairs qui s'y rapportent soient rédigés en langue anglaise, exception faite des documents pour lesquels la loi exige l'usage exclusif du français. Our site's registration forms require users to give us a unique username and password. To post a message in Easron Web sites using an e-form, an email address is also required. Our online surveys and the contests on our site may ask visitors for such information as contact information (like their email address), financial information (like their investment portfolio holdings), and demographic information (like their postal code, age or income level). We may use contact data from our surveys or contests to send information about our company and promotional material from some of our partners, sponsors or advertisers. The customer's contact information may also be used to contact the visitor when necessary and may be shared with other affiliated companies within the Easron who may want to contact our visitors. Only the Easron has access to your personal information. Users may opt-out of receiving future e-mail communications. Please see the choice/opt-out section below. Demographic and profile data is used to tailor our visitor's experience at our site and display the content according to their preferences. This information is shared with advertisers on an aggregate basis only. This site makes chat rooms, forums, message boards and/or news groups available to its users. Please remember that any information that is disclosed in these areas becomes public information and you should exercise caution when deciding to disclose your personal information. This site has reasonable security measures in place to protect against loss, misuse and interception by third parties. The Easron assumes no liability for interception, alteration or misuse of information transmitted over the Internet. This site is not marketed to or directed towards children. Nevertheless, it is possible for children to publicly post or distribute personally identifiable contact information without prior parental consent within chat rooms, forums, message boards, and/or news groups. No communication, however, will be sent to anyone or information collected from anyone who indicates that they are younger than 16 years old without their parents' permission. In the Registration process where we request information about the visitor, our site provides users the opportunity to opt-out of receiving email or other forms of communications from the Easron. If you are here because you no longer want to be contacted by the Easron, please send an e-mail to Chief Privacy Officer to opt-out. Copyright © 1995-2019 EASRON HEALTH Inc. - All Rights Reserved. THE ART AND SCIENCE OF FUTURE HEALTHCARE!! !